If you are looking for custom packaging boxes for your batteries or other battery storage boxes, then look no further. You can order personalized boxes for your battery packaging with custom printing such as you battery brand, advertisement message or any other marketing information on these cardboard battery boxes. How we work? You will submit a logo or any design which you need on your custom battery boxes, along with size of box. We will send you free digital proof in less than 24 hours. Once you are happy with the layout, then we will proceed to cardboard printing. We can handle orders from 100 up to 100,000 in less than 8 days. Whether it is 30A, 40A, 45A, 60A, 75A, 100A, 120A, 150A, AA AAA, 9V, 28V, 80V or other alkaline, dry or wet battery, just provide dimensions and sample graphics and leave rest to us. We do not only supply personalized battery packaging boxes to small businesses, rather our clients include some successful European companies. We guarantee that the price we offer is the lowest in UK, France, Germany, Denmark or any other European countries. Whether you are looking for boxes for Car battery, electronics battery, truck battery and bus or boat battery, our special packaging will never let you down. Send us your requirements using our request a quote form and we will be in touch with you. Good job guys ! 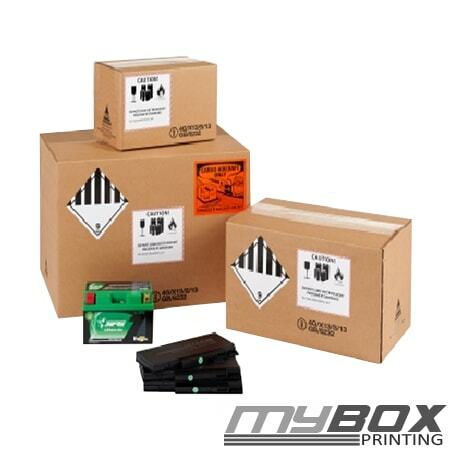 I ordered custom printed packaging boxes for batteries, car materials and other hazardous materials. They sent really strong 5 ply corrugated cardboard boxes with our logo, messages on it. Highly recommended for custom printing packaging boxes.